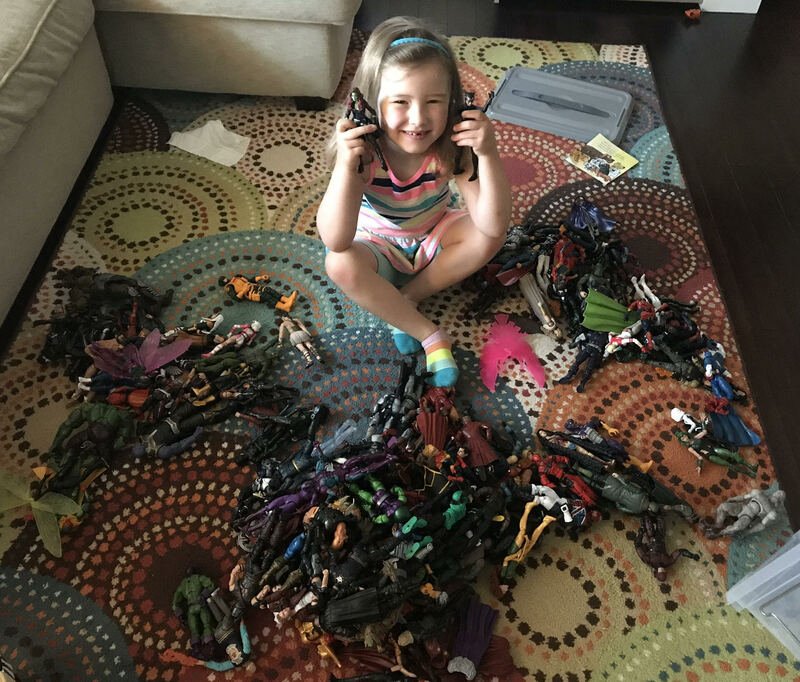 Welcome to the Life of Dad Collector of the Week! As a fellow geek and collector of all things Pop Culture I wanted to showcase some cool collections that dads share in the Life of Dad Geek Dads group on Facebook. It is a cool group of dads that talk about the latest movie, comic books, and video games that they are enjoying at the moment. Some of the dads in the group would start a thread about something they collect which got me thinking. We should have a page on our site that is dedicated to dads showing off their collections. It can be comic books, bottle caps, records, helmets or whatever they are into! We want to see what your passion is and why you started up that collection. I believe that in each collection lies a better story. We want to share your story! My Geek Show co-host, Patrick Quinn and I will talk about on our Facebook live stream called The Geek Show. I’m a dad of 2 girls and I’m a huge geek. My fandoms range from Star Wars to Marvel to Harry Potter and to many other areas. On top of my fandom, I’m a big collector. I’ve basically been a collector since I was little. With my dad being an antique dealer and my brother being a big comic book/Star Wars fan, I was destined to be so. I collect vintage and modern Star Wars 3.75” figures/vehicles, Marvel Legends 6” figures, and most recently Marvel Hot Toys 12” figures. One of the best things about being a dad is being able to share my geekdom with my girls, Cecilia(5) and Alice(1). I’m so thankful to have 2 healthy kids that enjoy what I enjoy. When it comes to collecting, I have many items out for all of us to play with and then I’ve got all my higher end/rare stuff tucked away. 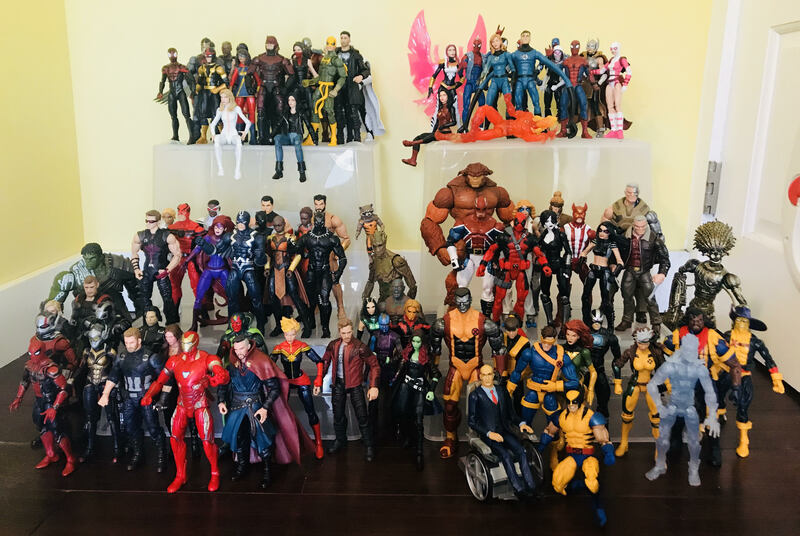 I’ve collected the Marvel Legends 6” line from Toy Biz/Hasbro basically since it started. I love the playability the figures have and the sheer amount of characters available is astonishing. We have the most fun setting up the figures and it brings me joy to see their imaginations at work. That’s what I did as a kid in the 80s playing with my Kenner Star Wars figures. Oh, we play with those too. Thanks for sharing Chris. It is great when you can share your collection with your daughters. We love seeing this here at Life of Dad. If you want your collection featured on our website here at Life of Dad and talked about on The Geek Show please email me art@lifeofdad.com. All you need to do is email me a few photos and a a paragraph or two about that collection. Check out the last week’s Life of Dad Collector of the Week and his Dragon Ball Z collection.